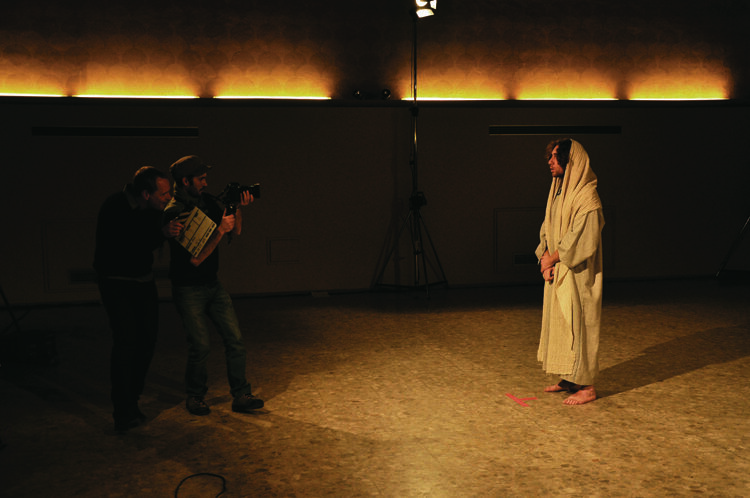 Christian Jankowski, "Casting Jesus," 2011. Performance at Santo Spirito, Rome. © Luise Müller-Hofstede, courtesy the artist and Lisson Gallery. This is a question that has bedevilled artists for the past 2,000 years. Generally, he is depicted as a man of average height, with a beard and a bearing varying from gaunt to beatific. But maybe he was short. Or chubby. Or preferred a close shave. And just how big was his nose? Matthew, Mark, Luke, John, and other apostles tell us, in the Bible, what Jesus said and did. But they don’t really provide a physical description. So, artists have had to use their imagination.